PORTLAND, OREGON (August 2018) – To combat the rugged world of life on and around the water, Smith debuts its latest breakthrough in lens technology with the launch of ChromaPop™ Glass. Inspired by the need to provide professional guides and captains with enhanced durability, ChromaPop Glass provides up to 12x more scratch resistance than polymer lenses while being 20% lighter than traditional glass for dawn to dusk comfort and performance. ChromaPop Glass is infused with proprietary technology enhancing color, clarity, and visual definition with 100% UVA and UVB protection, ideal for sight or river fishing, deep sea and open waters. Highly efficient polarization and 8 layer anti-reflective coatings, ChromaPop Glass is the most optically clear lens substrate and eliminates glare in shallow or deep water for accurate casting. 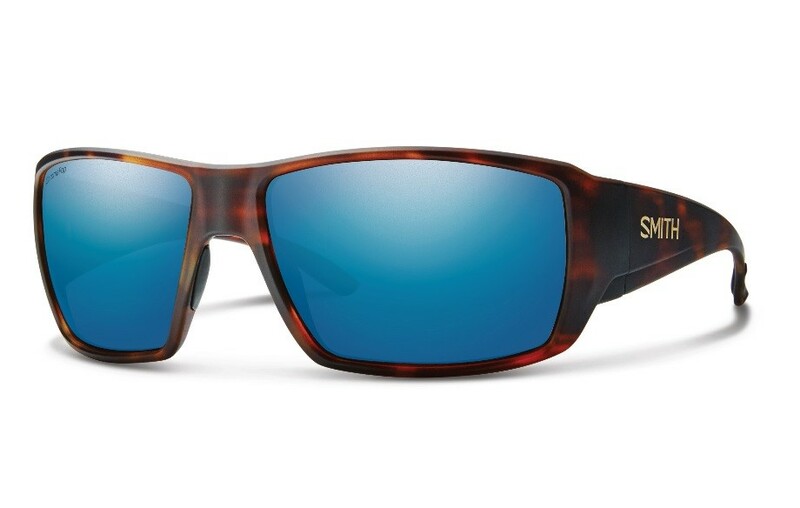 Available in three polarized tints – grey, brown, blue mirror to suit all river, inshore and offshore needs, ChromaPop Glass is currently offered in Smith’s best selling premium WATER frames: Guide’s Choice, Challis, Redmond, and Drake (MSRP $249, all models with ChromaPop Glass).